Pat Shurmur has been in the spotlight for a while courtesy of his top-notch coaching skills and his ability to read every game like the pro we know he is. He has been active for over thirty years and has successfully worked with several NFL teams including Philadelphia Eagles, Cleveland Browns, Minnesota Vikings, St Louis Rams, and New York Giants, just to mention a few. Interestingly, Shurmur isn’t just an ordinary coach; he has mastered every aspect of the game. He has featured as a quarterbacks coach, offensive coordinator, as well as a head coach since the inception of his career. Shurmur guided the Philadelphia Eagles to win the NFC Championship in 2004 and in 2017, he won the AP’s Assistant Coach of the Year Award in the same year. Shurmur was born and raised in an athletic family in Dearborn, Michigan. His parents are Joe and his wife Barbara Shurmur. His Uncle Fritz Shurmur served as an NFL coach for over twenty-four years. He won the Super Bowl XXXI with the Green Bay Packers in 1996. Similarly, his son Kyle is currently playing as a quarterback at Vanderbilt. 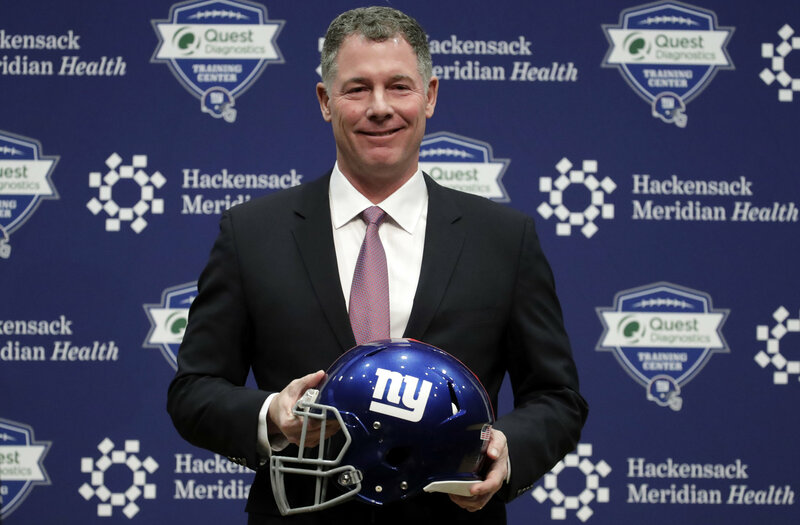 Pat Shurmur developed a keen interest in playing football from a very young age and while he was in high school, he began his football career at Divine Child High School. He went on to play collegiate football with the Michigan State Spartans football team. While he was there, Shurmur played the role of a linebacker as well as a guard for the Spartans. He received All-Big 10 Conference honors as well as All-American honors in 1987. He led the Spartans to victory at the Rose Bowl in his senior year. Upon graduation, Pat Shurmur began his coaching career working as a graduate assistant with the Michigan State football team from 1988 to 1989. He went on to become Michigan State offensive line, special teams, and tight ends coach from 1990 to 1997. In 1998, he served as Stanford Cardinal football team offensive line coach and the following year, he was recruited by the Philadelphia Eagles of the National Football league as offensive line and tight ends coach from 1999 to 2001. He also became Eagles quarterbacks coach from 2002 to 2008. During his NFL coaching career, Shurmur has been part of eight playoff teams, he has won six division crowns and has appeared in the Super Bowl. He is currently serving as the head coach of the New York Giants. During his stint with the Philadelphia Eagles in 2013, Nick Flores recorded an impressive season having the best NFL rating of 119.2. He had 27 touchdowns and two interceptions that season. While Shurmur was Minnesota Vikings tight ends coach in 2016, Sam Bradford broke the league’s record for completion percentage having 71.6 percent. Donovan McNabb also had three Pro Bowl seasons under Pat Shurmur in Philly. 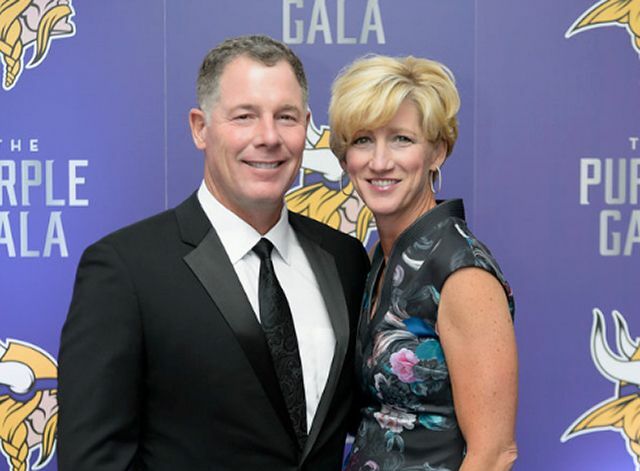 Pat Shurmur is a happily married man and a father of four children, he got married to his college sweetheart Jennifer Shurmur; a native of Poughkeepsie, New York and also a graduate of Michigan State University. Just like Pat, she is also an athlete and a competitive Swimmer at Michigan State during their college days. The pair got hitched in a small wedding held in 1988. Together they have four children – Erica, Claire, Kyle, and Allyson Shurmur. Just like their parents, Shurmur’s four children bonded over the game and they are very active in sports. Shurmur’s son Kyle Shurmur is also trailing the path of his father; he is currently a quarterback player for Vanderbilt Commodores of Vanderbilt University. He completed his high school career at Philadelphia private school where he led his school team to an overall record of 16 – 6. Kyle was named Maxwell Club’s Pennsylvania State Player of the Year in his senior year. He finished the 2017 season with 26 touchdowns and 10 interceptions while completing 220 out of 380 passes for 2,823 yards. Additionally, Kyle received All-SEC Academic Honors in 2016 and 2017.